969.00 sqft. - 2666.00 sqft. There are dreams of setting your own home, and there are dreams of picking the perfect setting for the Dream Home. With the ever appreciating real estate values, Mount Housing give up on either, or both in their quest for the most perfect destination. Their desires are ever increasing and know no bound. With the design and development of Mount Raindrop, they reckon, settle for nothing short of all that you ever aspired for. They provide you with a range of modern amenities that supplements a luxurious lifestyle. Carpet Area : 775.00 sqft. Nehru Nagar is a commercial hub and residential suburb in Coimbatore. Accessibility, convenience and value appreciation at the least explain the premium position of Nehru Nagar. It enjoys its proximity to places like Kolathur, Peravallur and Perambur. It is also easily accessible from various transport hubs and commercial centers. 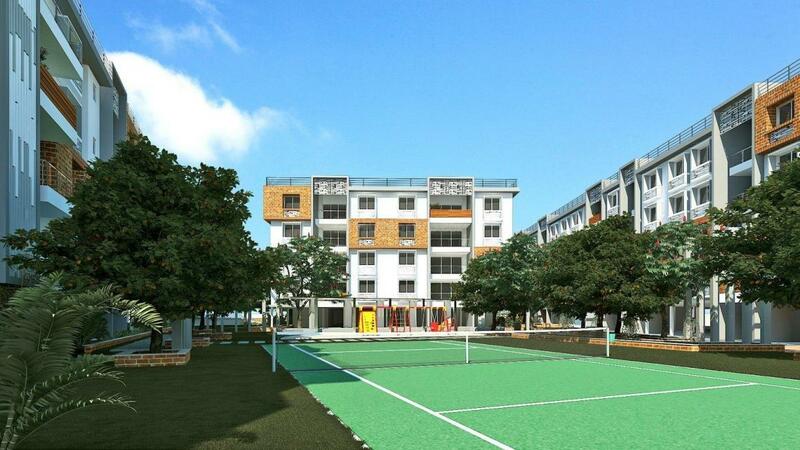 It is situated off Poonamallee High Road and suburbs like Chetpet, Egmore and Purasawalkam sit in its neighborhood. Officially known as Periyar EVR High School, NH 4, this stretch is an arterial road in Chennai. It links Nehru Nagar to the vital place of Poonamallee and then traverses to Sriperumbudur, Walajapet and Ranipet. Another major road in the locality is Kilpauk Garden Road that connects all the important locations in the town. The locale is a house of several commercial establishments like manufactures of packing materials, chemical suppliers, cement exporters and many more. Other vital stretches for reaching the place are Periyar-Salai and Tiru-Narayana-Guru-Road. The neighborhood is served by Southern Railways Ltd. Coimbatore International Airport is also located close by and can be accessed easily. Some reputed institutes located near Nehru Nagar are Coimbatore Institute of Technology and Kasturi Institute of Management Studies. Also, the Chennai Airport is a short driving distance from Kilpauk via Meenambakkam. Nestled with tree lines avenues, Nehru Nagar is a preferred location in Chennai that provides ample means of accommodation and catering facilities with good number of deluxe and budget hotels.